I've purchased the sims 3 and almost all its expansion pack via Steam. I'd like to know how to link my EA account to sims3 account. I've tried connecting by signing up for a sims 3 account but that doesn't seem to work. It just keeps looping to the same sign up page after I click sign up. I do not know what I am doing wrong. Please help! @abbysestoso When you create an Origin account you should be able to log in to thesims3.com with the same login and password as Origin. @unikitty1711 Are you a Steam user? I'm posting about this on Facebook as well, hopefully, I'll get some help somewhere. My girlfriend's first support ticket was closed and ignored and YES, I'm a steam user. After wiping Micro$oft Edge's cookies and cache and Internet Exploder's cookies and cache and resetting internet settings back to defaults, I finally was able to connect online again. It's a shame that EA support staff was less helpful than the forum. @ChimeraGryphon Steam installs the game differently then Origin. When you create an account in EA you use the Origin customer account portal and your login and password is the same for Origin and thesims3.com. Because Steam installs different the thesims3.com store DLC may not install correctly. You can get codes from your Steam account and use those codes in Origin. 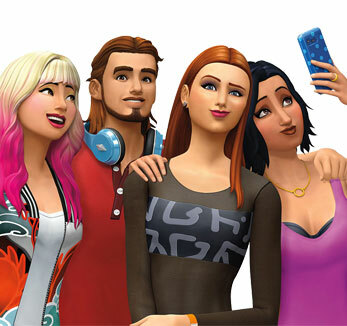 The structure of the sims games is complex as DLC addons can be problematic. I use both EA Origin and Valve's Steam and have few problems. Thanks, I think I was just doing things wrong, with the many accounts and passwords I use. Steam is just a platform, an entry point for all my games, it still redirects me to sims 3 (which I assume is EA/Origin). I was able to link it now. Thanks for all your replies.